Lawrence of Berkley and I decided to make a little photo expedition Saturday night to the wetlands in the shadow of the American Center in Southfield, Michigan. Its a nice little park with a boardwalk curving through the water, cattails, and reeds providing for a nice little oasis from the urban sprawl. 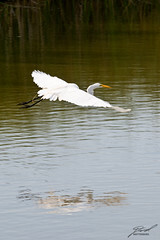 This Great Egret also seemed to enjoy the park as we caught him strolling through the waters hunting for dinner.